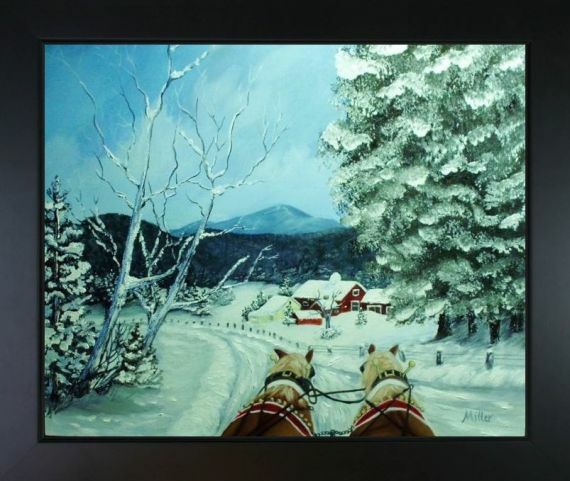 Peggy Miller is a working artist based in the Adirondacks region of Upstate New York, where she creates a variety of masterpieces in several mediums, including painting, photography, graphic design and costume design. 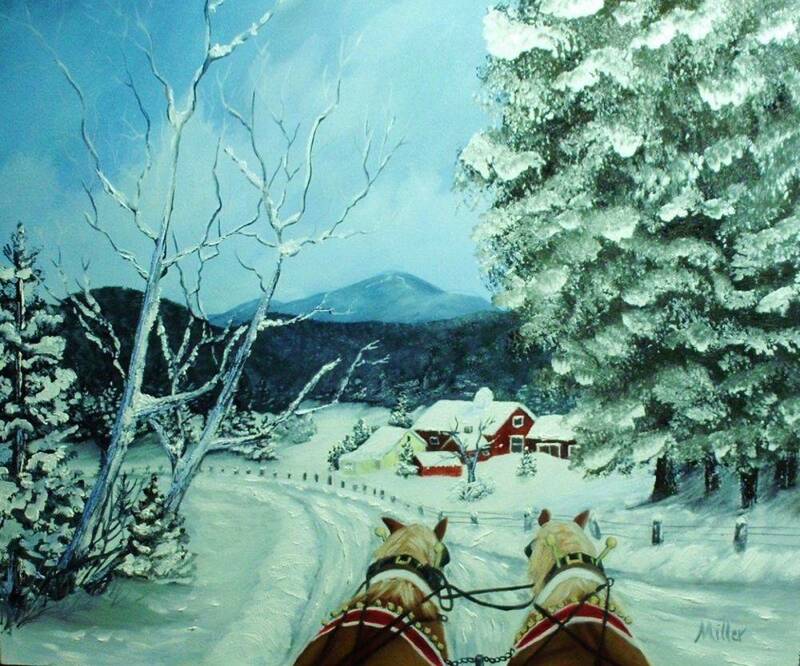 This self-taught artist imbues each work with the sense of wonder she gathers from observing nature. 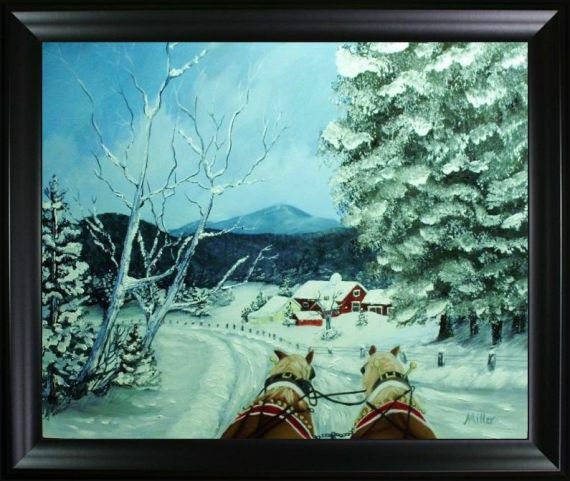 Sleigh Ride by Peggy Miller is no exception, as it showcases an idyllic winter landscape complete with a snow-capped barn and a horse-drawn carriage from the point of view of the rider. 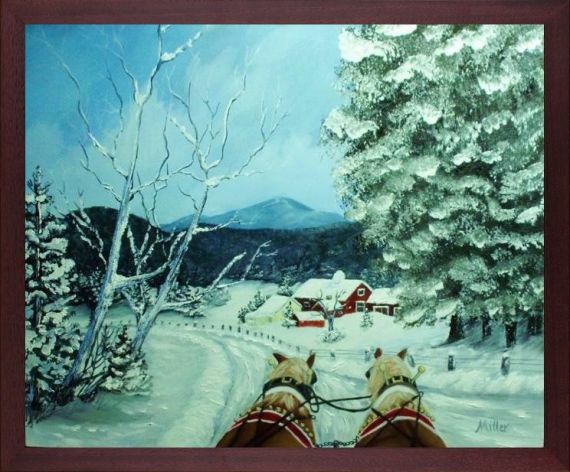 It does an excellent job of drawing you in and keeping you engaged, so it's the perfect fine art wall hanging for the rustic, country or down-to-earth living space. 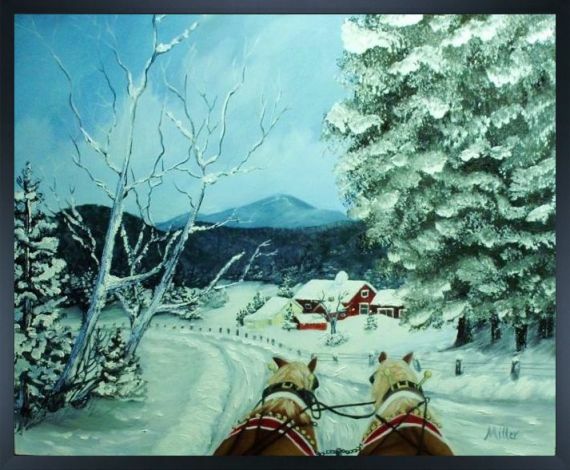 Our Sleigh Ride print is done with high-quality ink on artist-grade canvas to ensure that each one of Miller's original details is closely accounted for. 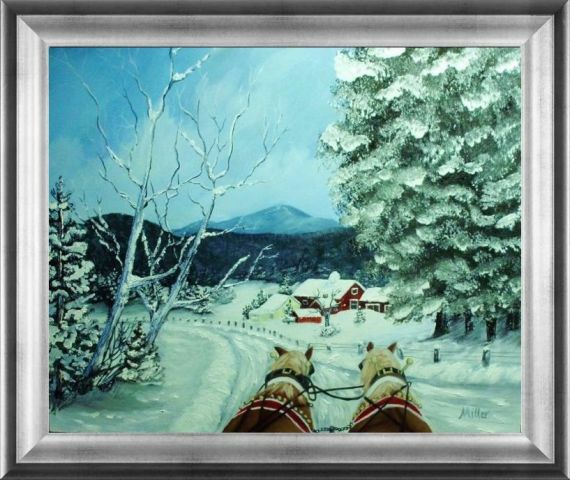 This exclusive print was handpicked by overstockArt as part of our Artist Become Independent Artist Program. It can be professionally framed to your tastes.